Running a business means making sure that it’s protected. It’s a simple fact that when you decide to run a business any manner of things could, and may, go wrong. While it might seem cynical to expect the worst, in reality it’s just being practical and essential to running a business. This is particularly true for smaller businesses that are working to get established in their industry, as insurance will protect your finances and assets in the event of an accident, damage to the premises and so on. Protecting your business against damages is extremely important as is finding the best policy for your specific needs and requirements. Once you know what your needs are, you can start searching for an insurance policy that gives you the cover you require. However, it’s also important to do some necessary damage control in order to ensure that you get more value out of your policy; failing to do this can result in expensive premiums that can put your business out of pocket. Keeping overheads down is still important, even when it comes to insurance. The first thing that needs to be done is a risk assessment. A risk assessment will help you to determine the sort of cover and protection that your business might need. This means that you will need to identify any potential threats to security as well as any other vulnerabilities. Once these have been identified you can begin to take measures to improve them. This may mean increasing security measures or even making changes to the building itself. Reducing the risks before taking out a policy means you’ll get more cost-effective cover. This is not exhaustive, but gives you a general idea of the sort of cover you might need to consider for your business. There is a lot to consider, so thoroughly assessing your business is a must to ensure you get the best policy. Insuring your business premises doesn’t cover the contents of said premises, so you’ll need a separate policy to cover your stock, products, equipment and any machinery located on site. This means that your businesses assets will be protected in the event of damage. 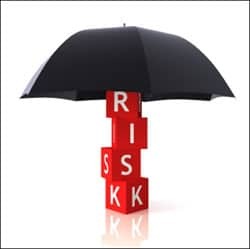 There are different policy types when it comes to contents insurance, with some businesses preferring to take out an indemnity policy, which covers you against theft in the event of a forcible break in and also deducts the cost of wear and tear from a claim. Alternatively, a Business Interruption Policy will cover you in the event that your business is drastically affected by damage to machinery or an increase in overheads. In other words, this kind of cover will protect you against any loss of earnings. By insuring your business premises and any assets you may have, you can successfully protect your business and ensure its future. Business insurance was one of the first things my wife got when she started her performing arts studio. Depending on your profession, it can actually be pretty reasonable.